Having made a throwaway comment in response to criticism on Sunday, I thought it was wiser to clarify the future of WOAP to you, valued reader. In a nutshell, I have taken the decision to end WOAP in its current guise at the end of the season. The match reports of the final five games – and, who knows, possibly a further three play off games – will be the last that we publish. The days of 4/5/6 articles a week are about to be over. The reasoning is basically that, after 12 years writing about the club, I’ve had my fill. Running a site at this pace is hugely time-consuming, and whilst I enjoy writing match reports I have had enough of giving up my Saturday nights. My day job is full on. I have a beautiful daughter I love spending as much time as possible with. I have friends I don’t see. I neglect to do my share of the housework. I want to get the balance back. And, in truth, my enjoyment of running WOAP has fallen considerably. In front of a laptop, writing, I’m happy. Showcasing other writers makes me proud. But the rest I can do without. It’s supposed to be a hobby but it can feel like a job. Especially when you receive criticism for your efforts, which happened again on Sunday. They say that writers must have thick skin and that is something I completely agree with. But that doesn’t mean you don’t feel hurt sometimes or harbour frustration at the injustice of some of the comments/emails. Such as when you get accused of having an agenda, when all you ever do is innocently write up your own opinions. I manage to upset pro-club fans for being over critical, and anti-club fans for being too positive. In the end I can only conclude that my opinion carries more weight than it’s worth. Some people are fed up of hearing it and I’m equally tired of giving it. When you do something that other people like, and gain popularity, people hold you to a higher level than you really deserve. As my manager always says “opinions are like backsides, everyone has one”. My opinion is no better or worse than anyone else’s, it’s simply the only one I have. All of which is not meant to come across bitter or looking for sympathy. The positives of running WOAP for almost five years have by some distance outweighed the negatives. Writing WOAP has resulted in forming loads of new friendships, meeting and interviewing heroes and writing about one of the most incredible periods in the club’s history. We have had so much positive praise and played a part in people’s enjoyment of the last few years. I’m proud of what we have achieved. I’m proud of what we have stood for. I’m proud of Width of a Post. Not that we will be disappearing. Katie had persuaded me to keep WOAP going next season in a watered-down form. We will probably do one opinion piece a week/fortnight, rotated between a few of us. It will exist purely for the same reason I set up WOAP – a love of writing about the club. No more, no less. But that is for next season. Right now there are the final few weeks of the season to write extensively about. I can’t wait. Fully understandable. Hopefully you can go out on a high writing about city’s elevation to the championship. Always a well balanced read Jason which I have enjoyed immensely over the last 3 years. All the best for the future. A real pity …. Shame on those who have been less than commentary. Thankyou for all you,ve done. WOAP is a credit to all involved. Balanced, thought provoking and educational. I’m pleased Katie has used her persuasive powers to keep it going in some form but you are correct; there is more to life than Bradford City. There will always be some folk who don’t engage brain before typing something uncaring into their computer. One of the downsides of having a presence on social media. You’ve done all reet by my standards. Balanced, knowledgeable, thought provoking. I’m only glad you said you weren’t giving up for good. Thank you and your team for everything you have done Jason. It has been super appreciated on this side of the Atlantic. WOAP has been a big part of my life and as an exiled Bantam it has been my number one source for all things Bradford City, due the integrity and the quality journalism of the site I cannot believe that people would moan about such a fantastic FREE resource that is put together by volunteers in their own time. Let’s hope your final report will be on what the coming season in the Championship will hold for us. Thank you again for everything Jason and enjoy your time with your family. Hi Jason, sorry to see the end of WOAP in it’s current format, but can understand your reasons behind it. Hopefully you will be able to enjoy City’s future adventures, without the added pressure of writing a report. Always enjoyed reading articles on here, probably agreed with 95% of it. The other 5% I totally respect. Having wrote occasional football articles in the past I appreciate how time consuming it is to check what’s wriiten is grammatically correct and the stats correctly researched. Hopefully youll find a balance whereby you can still maintain this excellent site and spend precious time with your family. If not, well thank you for your efforts and well done. A shame that we will not be able to read your thoughts and opinions, all the best for the future. Jason, I watched my first Bradford City game in 1956, aged 11. 60 years later and living far away from Valley Parade, I wait avidly for the WOAP City match report on Sat night/Sun morning, along with the 30 secs coverage from ‘Goal Rush’! I only found WOAP 18 months ago, but have been absolutely stunned by the writing – of the highest quality. Congratulations for all that you and the editorial team have achieved. You have raised the bar and set the standard for others to follow. There will be people like me who never normally make their views known, but have a lot of respect and appreciation for what you have done. Thank you. just read some comments from the other day on woap. Good on you for stepping back at end of this season. Totally understandable. WOAP Is the best thing to read. The effort that’s gone in is spectacular. I am utterly dismayed at the way many people just have to argue or disagree in writing. I’m not suggesting debate should not happen. But just keep it in context. Enjoy your Saturday nights mate. You deserve them. I may be the oldest and longest -standing reader of WOAP, having supported City since 1948. I have witnessed all the many lows and the few highs since then. I believe that WOAP, and BfB before it were the highlights of reporting of City in that time. I can understand why you, Jason,are giving up, and wish you well for the future. Sadly, I have noticed a surliness and, at times, unpleasantness , creeping into the comments from readers. That is a pity, because it is so unnecessary. There are, for reasons I have never understand, some so-called supporters who glory in failure and seem to enjoy it. But, with crowds of 17,000 plus, they are overwhelmed by those of us who love City and simply want success. When I arrive at Valley Parade, I am happy, because City are my team, just as they were my dad’s team , and his dad’s. You, in this website, with all your colleagues, have been part of that love for City. I shall miss you, and thank you most sincerely. Totally understandable Jason and I’m sorry you’ve had to take on the chin some of the Neanderthals that take to their keyboards. Reading your reports for both WOAP and before that Bfb have been a pleasure and the best writing that comes out of the club with well balanced views which in the main I have totally agreed with. Don’t be a stranger to the site though! Agree with the comments above. Only discuss veered this blog site 6 months ago and have been an avid reader since. Great writing. A tragedy to see it go but understand your reasons. As a Southern expat I can’t get to as many games as I would like, so I look forward to the excellent match reports and thought provoking articles that WOAP produce each week. Like some of the other respondees to this article I’ve been supporting the mighty City for nearly 6 decades – I remember the days when youngsters were allowed in for free for the last 20 minutes or so of every home game and have seen more lows than highs! I understand and respect your decision Jason, I know I couldn’t keep up with the regular output you have maintained since WOAP was launched. Thank you for your dedication to the cause & hope the site keeps up the high standard of writing in the future in whatever form it takes! May I also thank you and all involved with the site for all your hard work and dedication. I have read the articles for years and since moving down under have looked forward to reading a quality write up of matches. Personally I’ve found the site to strike a fair balanced opinion on all things BCAFC. Unfortunately in any percentage of the population there are those who rather than offering anything productive just criticise others. I hope some of the writers may have more time to offer those of us far away match reviews even if only monthly assessments. Enjoy your family time and thanks again your site means a lot to many people. Many thanks for all your work Jason. Certainly the tone of some recent comments has been regretable, your decision as others have said is understandable. Enjoy your family, friends and of course watching City. Ive only know about Widthofapost since last year, in that time ive been looking forward to match write up and the like here on WOAP. A massive thanks for your precious time you have dedicated to this site. I never post in comments on any site, but have to say I am gutted. I am not able to get to many games, read reports in the press and listen to The Pulse’s commentary. Despite this it is the WOAP coverage that I look forward to the most, it keeps me truly informed of games, performances and events at the club in a balanced and responsible way. I would also accuse you of being ‘pro-club’, aren’t we all! Your coverage is overwhelmingly positive and optimistic in its nature and, from the wrong end of the country is always a joy to read. Thank you for all you and your team of writers have done for us exiles! Very sad that WOAP is to be watered down. I have been using this site and BFB as my main source of club information for years. Fully understand the reasons – you only get one chance of watching your children grow up. Its not easy being a Bantam living in New Zealand so its going to be difficult finding a replacement Bantam community on-line. Totally agree Kiwi bantam. Having moved here 7 years ago WOAP has been invaluable in keeping abreast of City matters in an enjoyable, professional and relaxing manner. Thanks Jason for all your efforts and enjoy the family. Whilst we all Love BCFC, there will be a team around to follow long after the kids have grown up and gone. Jason Thanks for everything you’ve written over the last ‘who knows how many years’ it has been a great time with The Bantams. It is time some of your other great writers stepped up to the plate and kept this fantastic site going, keeping the seat warm for when your itchy fingers need to get back on the City Keyboard. All the best during your sabbatical and enjoy the family which I’m sure includes City. I’d also like to add my thanks to you and your fellow writers for the wonderful work you’ve done with WOAP and before that BfB. Living in Wexford, means that I only get to a few games a season, so I’ve come to rely on your site for stimulating and informative comment and opinion. Can only echo what everyone has already commented above. I’ve been a avid reader right through from the early BfB days and even had the compliment of having a few of my comments/rants etc used in articles from time to time. I fully understand your decision Jason and just wanted to thank you for all you’ve given us followers over the years. Enjoy the family time, it’s fully deserved. A real pity that yet again the noisy few have spoiled it for the silent majority who love reading the well informed and well written articles. I’m a member of the “all 92 watching City club” so I’m what you’d call a “dedicated” fan. But living 100 miles from VP with two kids under 8yrs old I totally understand your change in priorities and know it’s just not possible to commit 40+ weekends a year to the mighty BCAFC. All the very best to you Jason and here’s hoping you get itchy fingers after some well deserved time off. This is genuinely sad to hear. I can honestly say WOAP has enhanced my experience of being a City fan over the last few years and I have thoroughly enjoyed reading. Jason. Entirely understand and agree with you. Not that I don’t like your output ( ithink it’s balanced) but because I left a cricket club committee for the same reasons. I now dip in and out when I want and when it suits me. I would add, don’t even have a two week commitment. Write when you want, it will be real, relevant and unforced. Your stuff is something I enjoy and and mostly i agree with every word. Best. WOAP is a great read and as do many others have said, it’s always balanced and honest in the way the writers present their opinions. I have always appreciated that. You have to be true to yourself and not let others change your behaviour through negativity. Sadly online there will always be people who do not understand the difference between presenting an alternative opinion in a rational way and just blatantly attacking the person who expressed initially their opinion. I suspect these people are the ones that also call for the managers head after every defeat and then claim we will be champions after every win. Bradford City is a well run lower league club making the best of limited finances and historical issues around the ground and financial mismanagement. It has real fans who love the club and also has the best fan-driven blog I have ever seen in these hallowed pages we so love to read. Jason I wish you all the best, whatever the future output here, and thank you sincerely for a lot of pleasure in reading articles by you and your colleagues that have reinforced my love for this great club! I’m sorry in equal measure that you’ve had criticism for your excellent City coverage and that I won’t be reading so much of it from next season. I always avidly read WOAP content and will miss your take on all things claret and amber. I’m really pleased that you’re scaling back and not closing down WOAP and can look forward to more from you and your team of great writers. You deserve your own time; thank you for giving so much of it to me and your other readers over the years. Jason you have every reason to be proud of what you’ve achieved with Width of a Post. Your opinions have been and always will be valued and respected by all sensible and realistic City supporters who, I firmly believe, regard WOAP as far and away the best forum out there to air and discuss our views. It’s such a great shame that of late there have been some respondents who’ve posted on here when they would have been better placed sticking with the other forums. The number and unanimity of the responses you’ve so far received tells its own story and I hope will go some way to restoring your faith in your readers – or at least the vast majority of them. It’s a dreadful shame – some people don’t understand the term “fair comment”. At the end of the day everyone is entitled to an opinion enshrined in our democratic society – hence the referendum! I have enjoyed WOAP over the years – there is more to life than BCFC and no doubt the health of our hearts will be tested in the coming weeks. Let’s hope it’s a champagne ending! Thank you so much to everyone for such wonderful comments – I feel emotional reading them. I honestly had no idea how much WOAP means to people. It means a lot to hear it. To clear up one thing, I’m not scaling the site back because of some negative comments. It is something I have been considering for weeks. My tolerance of nasty comments is certainly lower which has prompted announcing it now, but the plan was in place beforehand. WOAP will continue in some scaled down format next season, so we will provide some service. I’m looking forward to continuing to write about the club I love so dearly. And I’m still youngish, so there is always time to bring WOAP back to full tilt one day. I’m also aiming to write another book on Bradford City (please buy my new one if you haven’t already, people say they like it). Thanks again and let’s enjoy this thrilling end to the season. JASON DON’T DO IT. CITY FANS NEED YOU ,WANT YOU ,THE PLAYERS WANT YOU,it won’t be the same your reporting of city affairs are fair intelligent , your match reports are the only ones I read and look forward to. I would rather us not go up than you stop writing ! So V to the odd ones who don’t always agree with. WOAP writing has been consistently of the highest calibre for many years. All the writers should be proud of their efforts. I will very much miss your quality content. It must take a lot of effort to produce such articles with so much regularity. Impressed Katie has managed to persuade Jason to continue albeit less regularly. Hooray for that. It’s difficult but remember there are far more readers who appreciate your writing than those who don’t. Thank you WOAP. Real pity to see that such well balanced and incisive writing is to end. Thanks for all the work you have put in over the years. I for one will miss WOAP. Thank you Jason for all that you and your excellent team of writers have done to keep us informed and entertained over the era of WOAP and before it, BfB. I too am a southern exile in my 6th decade of supporting our beloved club, and for me this site has always been my first (and increasingly only) port of call on all things City – and particularly for match reports. I am glad you have made clear your personal scaling back has nothing to do with some Neanderthal ignorant and unnecessarily personal comments on recent articles, the like of which have no place here. You had already signposted this change some time ago. Jason – enjoy your family time and time supporting City with a bit less pressure – but keep your hand in ! I see this development as an opportunity – there are lots of talented young and not so young writers and City fans out there. 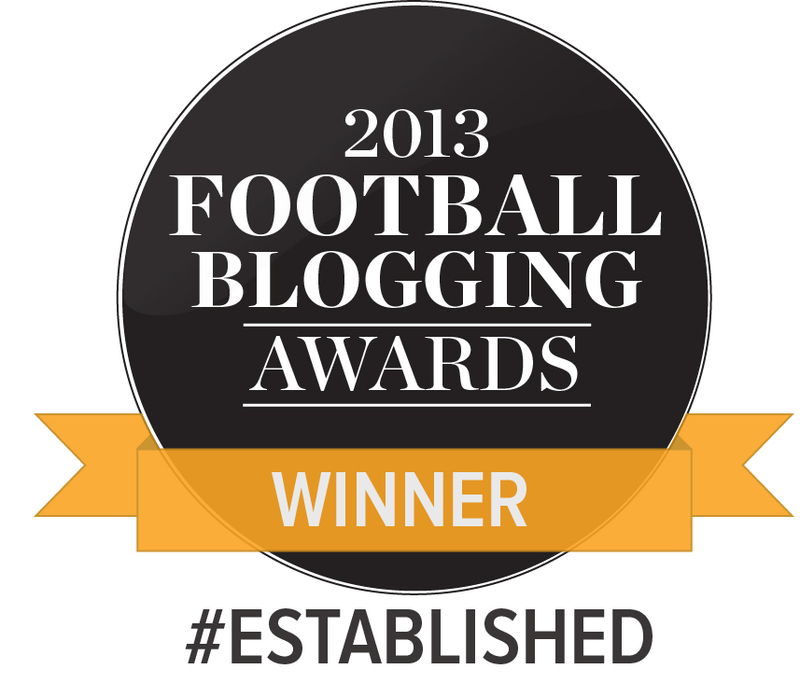 To all of you – Get hold of Katie and Jason and get involved in – and maintain – the best football blog site on the web. I would also consider removing the comments section. As so many have already said – they enjoy the site for the quality of the writing and depth of analysis – but of course these are still views and opinions – those of the writers. Whether you agree or not is part of the enjoyment of reading the articles and seeing what someone else thinks. It isn’t compulsory for the reader always to be given the immediate “right of reply”.